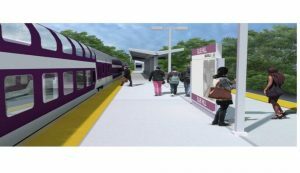 McCourt successful low bidder on new Blue Hill commuter rail station! McCourt was recently the low bidder for the Massachusetts Bay Transit Authority (MBTA) Blue Hill commuter rail station to be built on the Fairmount line. Once completed the station is expected to allow riders from Mattapan to reach downtown Boston in twenty (20) minutes.